On 30 July we held our first content clinic outside London, at the Environment Agency in Bristol. We had over 20 GOV.UK publishers from a number of agencies based in the south-west of England. Here are the answers to some of the many questions submitted to the clinic. The next London content clinic will be at DfT on 18 September, 11:30am to 1pm. People noted that it's difficult to keep up with changes to style and formatting guidance if you don't read every single post on this blog. Up to now it's not been clear to everyone that the most recent blog on a subject contains the most recently iterated guidance. That's why the 'departments and policy' content team's main objective for August is to start to centralise the style guide and all publishing guidance, so it's all in 1 place. This means it'll be much easier to keep all the guidance content, including the style guide and 'How to publish on GOV.UK', up to date. We shouldn't rely on this blog as the only place to publish new guidance. The nature of an agile approach means that GOV.UK will constantly be iterated. So it's important that publishers keep up to date with new guidance. Putting all the guidance in 1 place will make this much easier. In the meantime, read the 'What’s new' section in the style guide. You can sign up to change alerts using the feed. We've completed 2 rounds of spot checks so far. Our aim is to do them far more regularly than the first 2, and to feed back to SPOCS at different stages of the spot check, rather than at the end in one final document. We also want to change the way we choose what to spot check, taking a sample of high demand content as well as a random sample. We'll be helped to do this by using Product Analyst Ash's data visualisations, to find out departments' most popular pages. If the archived page has up-to-date guidance and you have data to prove that people are looking for it, the information should be incorporated into the content on the page. Content which has been archived since a page was last updated should be removed. There are some instances when it's necessary to link to an archived page. For example, if a user needs to back date an application using an old form. In this instance, it's important to explain why you're linking to an archived page. 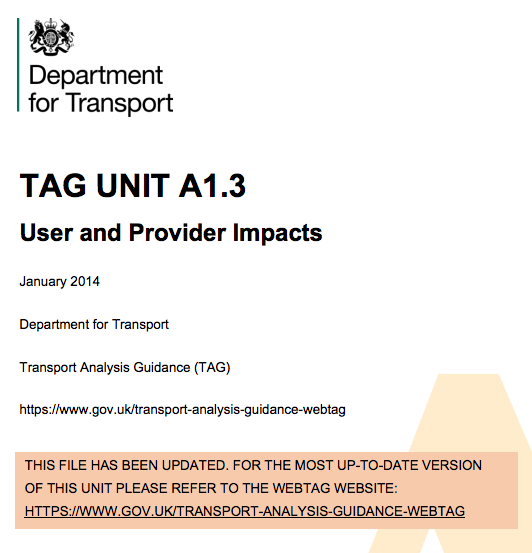 A good example to follow is the Department for Transport's (DfT) WebTAG content. The web team upload new PDFs displaying a warning that the information is out of date in a callout box, in case anyone has bookmarked the document page. Remember that content can't be edited once it's been archived. We were asked, once you've found and fixed a broken link on 1 page, how you can find out what other pages the link is on. If the broken link is a GOV.UK page, creating a redirect will work for every link. However, if an external link displays across a number of pages, there's no automated process in Whitehall to find them all. You'll have to look for them manually. It was noted that some people pages have space for education and some don't: "In the style guide it makes reference to biography and career but no mention about education. Is it optional? Are there any standards we should be sticking too, for example should we list the latest or the highest qualification first?" You don't have to include education in a manager's biography. However, if education is an essential part of their role (for example, if the Chief Executive of the Animal Health and Veterinary Laboratories Agency has a degree in veterinary science), it might be beneficial to mention it. Keep in touch. Sign up to email updates from this blog, or follow Rosie on Twitter.